Hey there! Sorry for not posting more often in the past month, was a bit busy with all sorts of things! Anyway, I finally have time to post again! 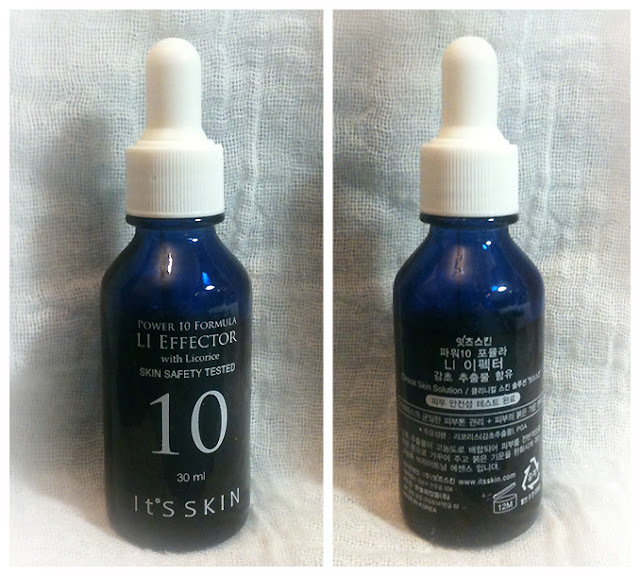 I'm going to review the It's Skin Power 10 Formula LI Effector from my previous Gmarket haul. The It's Skin Power 10 line is a hit in both Korea and other parts of Asia! As most of you know, there are many variations of the Power 10 Formula Effector - each with a different function. I chose the LI version based on the list below. The serum is inside this small glass bottle! It comes with a pump dispenser (see picture below) - I love this kind of packaging as it's hygienic to get the serum out. 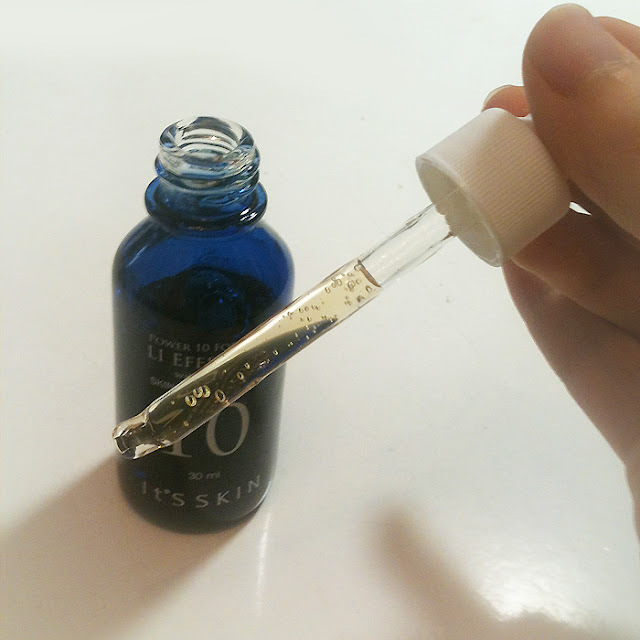 The serum itself has a liquid-gel consistency, see the bubbles there? That's air being pumped into the gel. It has a pale yellow color in the tube, but it doesn't affect your skin color after spreading out. After using this for 2 weeks, I can say it definitely lightened some of my acne scars by reducing the redness of it! Its effect on my darker, brownish hyperpigmentation is not prominent at the moment, but i'll keep using it to see how things turn out. *Update 1/9/2013* It really is slowly fading my dark spots and making my skin tone more even! That took me for about a month to see the result. But i am satisfied with it because it works great on my sensitive skin, unlike some whitening products that irritates me too much. - Might be slow in tackling hyperpigmentation. Repurchase? : Probably not. 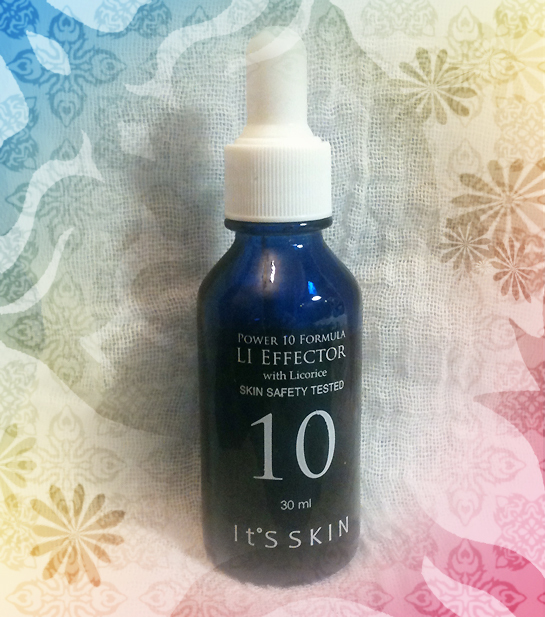 Although it's a good product, I want to try the other Power 10 Formula Effectors as well! 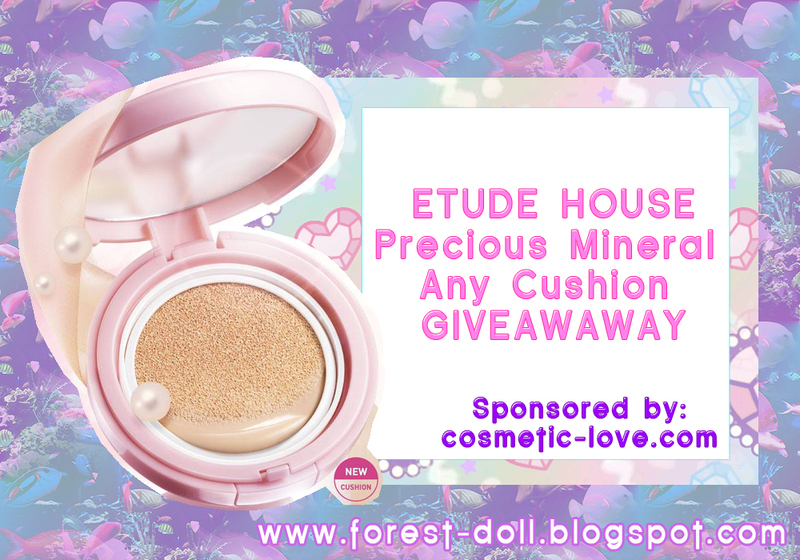 I'm now ready for more reviews and planning my next haul too *smirks*... stay tuned and see you for now!